"Just what I was looking for!! I am computer illiterate and this was SO easy for me to use. I have tried several other programs and couldn't figure them out. I have been doing my family budget out of a notebook and this was the same set up I was using only it has so many neat features and does all of the math. I would highly recommend this to some one who lives check to check. Great program. Thank you!" "If you're in debt (who isn't?) you need this!" The average wage earner is concerned about providing adequate food, clothing, and shelter for their household. In today's money-based economy, most of us do this by striving to make a decent living, working a job that pays a set amount of income. In time, we quickly learn that money does not grow on trees but it definitely can sprout wings! After a while of trying to keep up with the rising cost of living, many of us find ourselves in a nasty predicament - not enough money to make ends meet. According to USA Today (Oct. 4, 2004 issue), the average household's personal debt (including car loans, mortgages, credit cards, etc.) is about $84,454. In an attempt to do something about this, a considerable number a people try obtaining a home equity loan to transfer credit card balances to. Debt consolidation under one low-interest rate home equity loan seems like it should be a good idea. 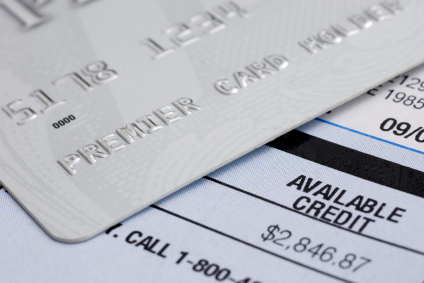 However, the Consumer Banking Association did a survey in which they found that 70% of individuals utilizing this method are again running up credit card debts! What makes that happen? The part that really gets us is, if we don't somehow solve this money problem, we can find ourselves among the happy company of those receiving collection calls and notices (you know the ones with a 1-800 number to call back on to "discuss" payment terms). From there, things can really go downhill. The wisest among us come to realize that the best way to solve this money problem is to get a handle on how we manage our household income. To successfully do that, we need some way to see where the money is going, preferably BEFORE it goes. We need some way to plan our spending, preferably BEFORE we spend. Well, we know by now what are income is and what it will be in the near future at the current rate of pay. Also, we know what our expenses are and what most of them will be in the near future with what we have currently taken on. If we don't, our creditors will be more than happy to remind us and, usually, they are just a phone call away. With this income and expense information, we are in the position to do something about our money problems. But, just knowing your income and expense situation is obviously not enough to effectively handle your money concerns, manage debt and stay away from bankruptcy. After all, the vast majority of households who enjoy a serious debt crisis well know their income and expense situation. What they lack, however, is a good system of household money management. Any good system that a household can actually put in place and stick to will do, but a good system is definitely needed. These people not only knew their income/expense situation, but began to think in terms of having a good, simple system to manage their money affairs. They also discovered a way to put the computer to work for them, combining its power for speed and accuracy with special software designed to provide a system the average wage earner could relate to and stick with. Yes, stick with until they have finally solved their money problem! Well, if you have the computer, the software stands ready to come to the rescue for your household too. 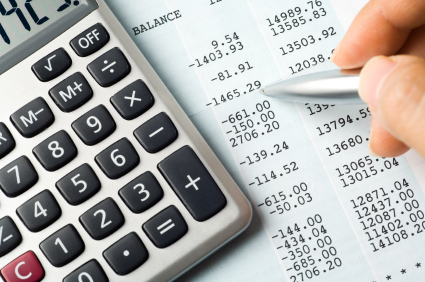 The simple, effective system it provides can help you manage your household budget. But be warned - this special software is designed to help the average wage earner take control of their financial situation. If you like being late paying bills or failing to pay them at all, don't consider this software. If you prefer to continue being shocked at your grocery bill each time you get to the checkout counter, do yourself a favor and don't look in the direction of this software. If you have absolutely no interest in trying to put money away into an emergency fund or savings account, please run away as fast as you can from this software. Finally, if you enjoy making minimum payments on your credit cards so you can keep paying on them forever, you don't want to even think about this software. 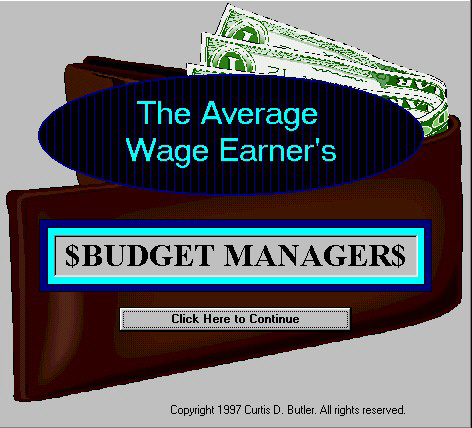 The Average Wage Earner's Budget Manager! Try our award-winning Average Wage Earner's Budget Manager and see for yourself what a valuable friend it can be in these difficult economic times! 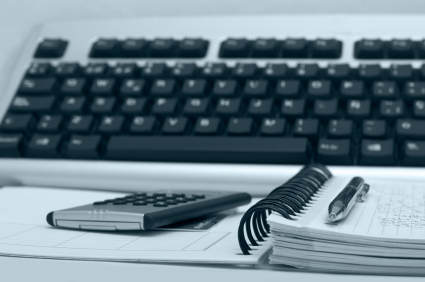 Click on Software Features (above left) or click here and take a look at how The Average Wage Earner's Budget Manager can benefit your household today!